If you go down to the woods this spring, you’re sure of a tiny surprise as the mini-beasts go antennae-to-antennae for the spoils of a picnic in MINUSCULE, in cinemas from May 27th, 2016 courtesy of Lionsgate Films. In a peaceful little clearing, the remains of a picnic hastily abandoned spark a standoff between two tribes of ants. A bold and brave young ladybird finds himself caught in the middle of the battle but, having befriended Mandible, one of the black ants determined to protect their haul of sugar cubes, sides are picked. 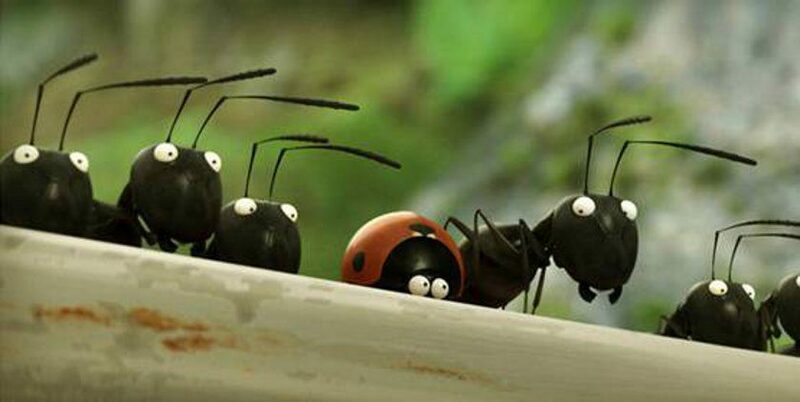 With the safety of the black ants’ nest at risk, our plucky ladybird helps take on the aggressive red ants, led by the evil Butor, and must use all his ingenuity and resolve to win the day.